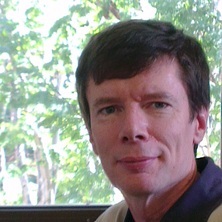 Denis Collins is a world authority on the history of compositional techniques, especially counterpoint, in Western art music from the late Middle Ages to the time of J.S. Bach. He has been Lead Chief Investigator on two Discovery Projects awarded by the Australian Research Council: "Canonic techniques and musical change from c.1330 to c.1530" (2015-17) and "The art and science of canon in the music of early 17th-century Rome" (2018-20). He was an Associate Investigator at the ARC's Centre for the History of Emotions in Europe, 1100-1800. He has published extensively in Australian and international music journals and he presents the results of his research regularly at international conferences and symposia. Denis Collins (2018) Approaching renaissance music using Taneyev's theories of movable counterpoint. Acta Musicologica, 90 2: 178-201. J.S. Bach in Australia: studies in reception and performance. Edited by Denis Collins, Kerry Murphy and Samantha Owens Melbourne, Australia: Lyrebird Press, 2018. Collins, Denis (2017) Instructions for keyboard accompaniment in Music Manuscript 244 of the University of Melbourne. Musica Disciplina, 60 173-200. Collins, Denis (2015) Taneyev's theories of moveable counterpoint and the music of J.S. Bach. BACH: Journal of the Riemenschneider Bach Institute, 46 2: 22-45. Collins, D. (2007). 'Sufficient to quench the thirst of the most insaciate scholler whatsoeuer': George Waterhouse's 1,163 canons on the plainsong Miserere. In: Katelijne Schiltz and Bonnie J. Blackburn, Canons and Canonic Techniques, 14th-16th Centuries: Theory, Practice, and Reception History: Proceedings of the International Conference. Canons and Canonic Techniques, 14th-16th Centuries, Katholieke Universiteit, Leuven, (407-420). 4-6 October, 2005. Collins, Denis B. and Bevin, Elway A briefe and short instruction of the art of musicke by Elway Bevin. Edited by Collins, Denis B. Aldershot, U.K.: Ashgate, 2007. Collins, Denis (1993) Zarlino and Berardi as teachers of canon. Theoria: Historical Aspects of Music Theory, 7 103-123. Isaac Nathan and emerging musical identity in late 19th-century Australia. Histories and narratives of music analysis. Edited by Miloš Zatkalik, Milena Medić and Denis Collins Newcastle upon Tyne, England: Cambridge Scholars Publishing, 2013. Music theory and its methods: structures, challenges, directions. Edited by Denis Collins Frankfurt Am Main, Germany: Peter Lang, 2013. Collins, Denis and Nevile, Jennifer (2019). Music and dance. In Andrew Lynch and Susan Broomhall (Ed. ), A Cultural History of the Emotions in the Late Medieval, Reformation and Renaissance Age (pp. 49-67) London, United Kingdom: Bloomsbury Academic. Collins, Denis, Murphy, Kerry and Owens, Samantha (2018). Appendix 1. In Denis Collins, Kerry Murphy and Samantha Owens (Ed. ), J.S. Bach in Australia: studies in Reception and performance (pp. 218-221) Melbourne, Australia: Lyrebird Press. Collins, Denis (2018). Canon in Baroque Italy: Paolo Agostini's collections of masses, motets and counterpoints from 1627. In Lorraine Byrne Bodley (Ed. ), Music preferred: Essays in musicology, cultural history and analysis in honour of Harry White (pp. 117-140) Vienna, Austria: Hollitzer Wissenschaftsverlag. Collins, Denis, Murphy, Kerry and Owens, Samantha (2018). Introduction. In Denis Collins, Kerry Murphy and Samantha Owens (Ed. ), J.S. Bach in Australia: studies in Reception and performance (pp. 1-7) Melbourne, Australia: Lyrebird Press. Collins, Denis and Stoessel, Jason (2018). Music as symbolic image: Christological narratives in the Agnus Dei sections of renaissance masses. In Mirjana Veselinovic-Hofman, Vesna Mikic, Tijana Popovic-Mladjenovic and Ivana Perkovic (Ed. ), Music/image: transpositions, translations, transformations (pp. 60-71) Belgrade: Faculty of Music, University of Arts in Belgrade. Collins, Denis (2016). Continuity and discontinuity in contrapuntal techniques ca. 1500. In Mirjana Veselinovic-Hofman, Vesna Mikic, Tijana Popovic Mladenovic and Ivana Perkovic (Ed. ), Music: transitions/continuities (pp. 120-132) Belgrade, Serbia: Faculty of Music, University of Arts in Belgrade. Collins, Denis (2014). Creative collaborative thought and puzzle canons in renaissance music. In Margaret Barrett (Ed. ), Collaborative creative thought and practice in music (pp. 111-126) Farnham, Surrey, United Kingdom: Ashgate. Collins, Denis (2013). John Bull's "Art of Canon" and plainsong-based counterpoint in the late renaissance. In Denis Collins (Ed. ), Music Theory and its Methods: Structures, Challenges, Directions (pp. 99-127) Frankfurt Am Main, Germany: Peter Lang. Collins, Denis (2013). Palestrina's Missa Sacerdotes Domini and analytical approaches to renaissance counterpoint. In Miloš Zatkalik, Milena Medić and Denis Collins (Ed. ), Histories and Narratives of Music Analysis (pp. 120-134) Newcastle upon Tyne, United Kingdom: Cambridge Scholars Publishing. Approaches to invertible canonic composition in late sixteenth-century theory and practice. Collins, D. B. (2004). Approaches to invertible canonic composition in late sixteenth-century theory and practice.. In M. Ewans, R. Halton and J. Phillips (Ed. ), Music Research: New Directions for a New Century 1 ed. (pp. 368-375) London: Cambridge Scholars Press. Collins, D. B. (2003). The vocal canons of Fernando Sor. In Luis Gasser (Ed. ), Estudios Sobre Fernando Sor/Sor Studies 1st ed. (pp. 305-312) Madrid, Spain: Instituto Complutense de Ciencias Musicales. Collins, Denis (1993). Fugue, Canon and Double Counterpoint in Nicola Vicentino's L'antica musica. In Harry White and Gerard Gillen (Ed. ), Music and the Church (pp. 276-301) Dublin, Ireland: Four Courts Press. Review of Mary Louise O'Donnell, Ireland's Harp: The Shaping of Irish Modernity, c.1770-1880. Collins, Denis (2016) Review of Mary Louise O'Donnell, Ireland's Harp: The Shaping of Irish Modernity, c.1770-1880.. Australasian Journal of Irish Studies, 16 133-135. Collins, Denis (2015) Thomas Schmidt-Beste (ed. ), The Motet Around 1500: On the Relationship of Imitation and Text Treatment? (2012); and Albert Clement and Eric Jas (eds), Josquin and the Sublime (2011). Journal of the Society for Musicology in Ireland, 10 14-15: 57-64. Collins, Denis (2014) Creative Collaborative Thought and Puzzle Canons in Renaissance Music. Collaborative Creative Thought and Practice in Music, 111-125. Collins, Denis (2013) John Bull's "Art of Canon" and Plainsong-Based Counterpoint in the Late Renaissance. Music Theory and its Methods: Structures, Challenges, Directions, 7 99-127. Collins, Denis B. (2009) William Bathe's tabular method and late Renaissance theories of Canon composition. Music Theory and Analysis, 1 87-95. Collins, Denis (2008) William Byrd's motets and canonic writing in England. Context: Journal of Music Research, 1 33: 45-65. Collins, Denis B. (2007) From Bull to Bach: In search of precedents for the "Complete" version of the Canon by augmentation and contrary motion in J.S. Bach's Musical Offering. BACH: The Journal of the Riemenschneider Bach Institute, 38 2: 39-63. Collins, D. B. (2004) Review of Peter Williams, Bach: The Goldberg Variations. Eighteenth-Century Music, 1 2: 318-319. Collins, Denis (2003) The transmission of Zarlino's canonic theory in seventeenth-century organ chorale settings. Musicology Australia, 26 38-64. Collins, Denis (2002) Bach's occasional canon BWV 1073 and 'stacked' canonic procedure in the eighteenth century. BACH: The Journal of the Riemenschneider Bach Institute, 33 2: 15-34. Collins, Denis and Huron, David (1999) Voice leading in cantus firmus-based composition: a comparison between theory and practice in Renaissance and Baroque music using computer-assisted inferential measures. Computers in Music Research, 6 Spring: 53-95. Collins, Denis (1999) Bach and approaches to canonic composition in early eighteenth-century theoretical and chamber music sources. BACH: The Journal of the Riemenschneider Bach Institute, 30 2: 27-48. Collins, Denis (1996) Spiegel-Kontrapunkt in Theorie und Praxis: Vorlaufer fur Contrapunctus 12 und 13 aus Bachs Kunst der Fuge. Bach-Jahrbuch, 82 77-92. Collins, Denis (1995) Musical terminology in the canonic works of Bach: an historical context. BACH: The Journal of the Riemenschneider Bach Institute, 26 1/2: 91-101. Collins, Denis (1995) The Martini-Redi polemic on the solution of a canon by Giovanni Animuccia. Indiana Theory Review, 16 Spring-Fall: 61-81. Collins, Denis (1994) Canon and music pedagogy 1500-1800. Theoria: Historical Aspects of Music Theory, 8 53-72. Collins, Denis (1993) Historical precedents for Bach's Evolutio Canon BWV 1087-10. BACH: The Journal of the Riemenschneider Bach Institute, 24 1: 5-14. Schubert, Emery, MacKinnon, Dolly, Collins, Denis and Garrido, Sandra (2017). Panel Discussion:'What’s missing in music and emotion research?'. In: The 3rd Conference of the Australian Music & Psychology Society (AMPS) including the 5th International Conference on Music and Emotion (ICME)., School of Music, The University of Queensland, Brisbane, (). 7-9 December 2017..
Collins, Denis (2010). Henry Purcell's Three Parts Upon a Ground and the traditions of English counterpoint. In: Milos Zatkalik, Music Theory and Analysis 2010: Refereed Proceedings of the Seventh International Conference Music Theory and Analysis 2009. Seventh International Conference on Music Theory and Analysis, Belgrade, Serbia-Montenegro, (172-182). May 15-17 2009. Collins, Denis (2004). Compositional strategies in sixteenth-century three- and four-part canons. In: Musicological Society of Japan, Musicology and Globalization: Proceedings of the International Congress in Shizuoka 2002 in Celebration of the 50th Anniversary of the Musicological Society of Japan. International Congress of the Musicological Society of Japan (IMJ 2002): Musicology and Globalisation, Shizuoka, Japan, (272-276). 2-5 November 2002. Collins, D. B. and Pavlovic, B. (2002). Metric space as a cognitive-structural model of musical pitch. In: C.Stevens, D. Burnham, G.McPherson, E.Schubert and J. Renwick, Proceedings of the 7th International Conference on Music Perception and Cognition. 7th International Conference on Music Perception and Cognition, Sydney, (662-665). 17-21 July 2002. A performance guide to Mozart's Symphonie Concertante in E flat major (K. 364) based on the formation of style and interpretation. Les Concours and the Modern French Flute School: Stylistic Considerations for Performance. Russian Sacred Music of the Late Nineteenth Century: Differences and Similarities of the Moscow and St. Petersburg Schools in Theory and Practice in an Age of Reform. The influence of Romanian folk music on the music of George Enescu, with special reference to Romanian rhapsody, op. 11 no. 1, sonata for violin and piano, op. 25 no. 3, and impression d¿enfance for violin and piano, op. 28.